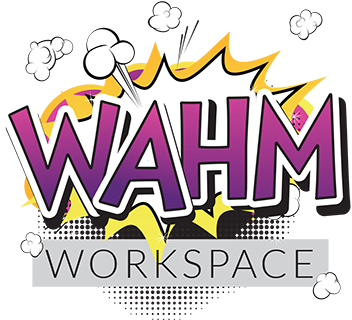 WAHM WorkSpace has been doing a lot of business research and building and we have grown our offering too. In January, as part of my Try Everything campaign, I began working with a Money Coach on a personal level. As we worked together on sorting out my family’s mindset around money, we discovered how well we got on with each other. In a session on my business and the finances involved, we got talking about me assisting her with Virtual Assistance work. As we chatted more, we honed in on the fact that I am really a mentor and teacher, she made the suggestion that I look at mentoring other moms to become virtual assistants. Tentatively I put out a WhatsApp to a Mom’s group I’m on, and I received an influx of women who were in a similar situation to me. On the Monday of that week I had been the only member of my business, and had tentatively done a little bit of Virtual Assistance work. By Friday I was heading up a team of 6 VAs! And so WAHM WorkSpace Virtual Assistants was born! My team of awesome women are all mothers who are looking for ways of increasing their income, without sacrificing the time with their families. Some of them are coming in to the business from corporate or business backgrounds. Some of them are new to doing this kind of work entirely. My role in the business is very much one of mentoring and encouraging women to make the most of their skills and talents, whether they have experience or not. This business is about nurturing relationships, building a community of women who work together to help each other, and of finding clients that are the right fit for each of us. So please, if there is administration outsourcing that you have, please give us the opportunity to find the right VA for you and your business. Our growing team of women are excited to make life easier for each and every one of our clients.